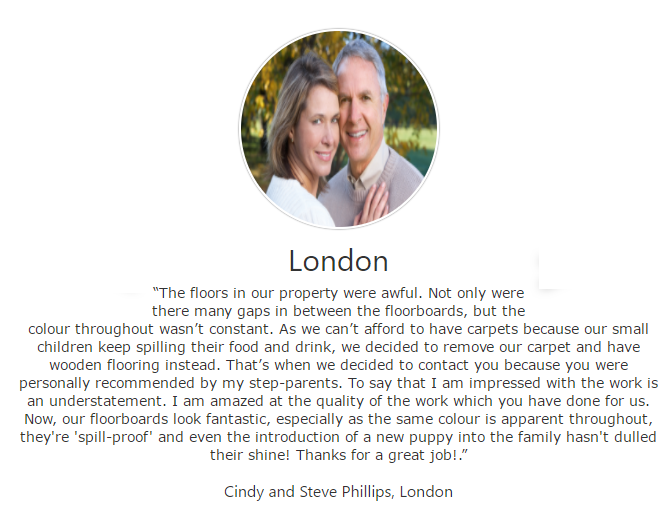 Affordable Wood Floor Repairs, SW1P - Affordable Wood Floor Resurface, Professional Restoration. 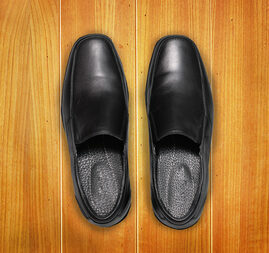 Are your wooden floors looking the worse for wear? Damaged boards? Missing boards? Missing parquet? Battered, splattered - or just plain ugly and messy? 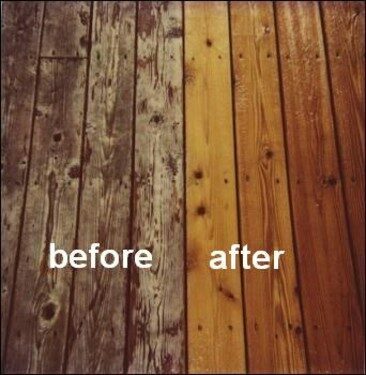 Call on Wood Floor Resurface Co. to bring it back to life! Floors can now be repaired and restored to a better state than when they were first installed. Construction materials, tools, methods of repair and finishing products have greatly improved. 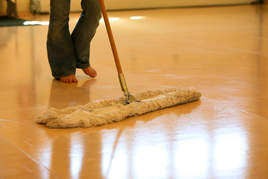 Modern floor sanding is efficient, speedy and gives outstanding results. 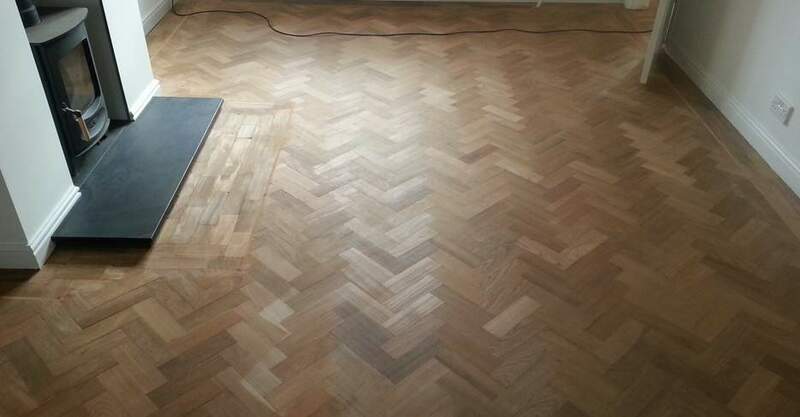 As wooden floor repair and restoration specialists for over twenty years, we have transformed hundreds of floors in different kinds of properties. Wood Floor Reconstruction Co. work throughout London and the Home Counties. Let us give you the best advice on all aspects of floor repairs - through to sanding, staining and sealing. And recreate a floor worthy of your home or business. What kind of floor do I want? Where is it situated and what kind of use will it be getting In the home, will it have to withstand everyday wear from feet big and small? Will children play on it? Do you have pets who can scratch the surface with paws and hairs? Or discharge other unmentionables? Do you want a showpiece - with the floor staying beautiful and looking new (slippers for your guests?) or are you qflexible? If the floor is in a commercial area with heavy regular traffic from all kinds of careless feet, what kind of balance do you want between durability - and maintaining an attractive look? Repairing and restoring a wooden floor is a major project. How long do you want it to last? And how much is it worth to you? Will you look upon it as an investment? A restored floor gives great returns in terms both of adding value to your property - and years of pleasure and satisfaction. Your answers will be linked to those above. Do you want a hard-wearing floor that requires little maintenance after it has been repaired? A lacquered floor can withstand harsh treatment and look good for years. 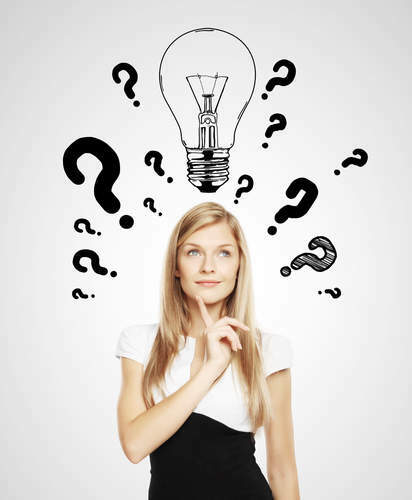 Or one on which you are happy to devote some effort and further cost to keep it looking good? Then you may prefer to choose a finish of wax or oils. Their look is natural and beautiful - but will need a top up coat once or twice a year. Wood flooring is both highly durable and easy to repair, which are two of the reasons it makes for such a good choice of floor covering. That being said, it still makes sense to protect your newly sanded wood flooring as much as possible, in order to reduce the need for repair work. Read on for our four top tips for keeping your wooden floor looking fabulous. Have a shoe-free policy in your home, especially when it comes to heavy work boots, football boots or high heels. Keep a box of slippers by your front door to offer guests instead. Wood is certainly more resistant to scratching than other floor coverings and the great news is that should a scratch occur, it can be fixed easily with a wood repair service. However, avoiding scratches in the first place is of course preferable and one of the key ways to do this is to keep your cat's and dog's claws well clipped at all times. It's natural to want to mop your floor all the time to keep it looking good, but the constant application of water will actually discolour and degrade your wood over time. Mop up spillages immediately with a paper towel and otherwise keep the floor tidy by simply sweeping or vacuuming. Every so often, clean your wood floors with a dedicated (non-citric, non-abrasive) wood cleaner and buff them dry afterwards. Keep furniture on pads, especially heavy duty furniture with slim legs which can cause damage to your floors. Buying furniture that is on castors is obviously a great way to protect your flooring, especially should you wish to move things around, but wheels are not always the most attractive finish to an antique table! If you do need to move furniture around that isn't on wheels, do so carefully and consider using a large cloth underneath and carry it in pairs rather than drag furniture alone. Following these four simple tips will reduce the appearance of scratches and discolouration on your wood flooring and will mean far longer periods between wood needing a re-sand or repair work.